Good exploration of how McFague's project of metaphorical theology and concept of the world as "God's body" applies to ecological problems. A bit thin on the critical political and social edge of her program, though. For someone who decries individualism, her picture of how to motivate change is still rather individualistic: change people's worldviews and you will change how they act. There is some truth to that, but people also have their worldviews and motivations forged in material relationships of production. The challenge is how to change those relationships in a "green" way. I had to skim the last half of this to get it back to the library before I left home, but this was worth it even for that much. In short, why is what we believe failing to impact how we act based on what we know? Considering it's already old, it's scary how relevant it still is. I'm not sure why God has to be involved, but whatever works as long as you're successful at convincing people that global warming is an issue that is our responsibility to address. McFague's thinking echos my own recent trends. Although I may have absorbed some of this from her earlier work. 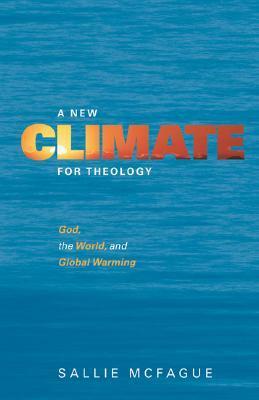 Wholly integrative approach to how God plays into the ecological movement. The highlight for me was a helpful discussion about the limits of metaphor in illuminating reality.